Just in time for Super Bowl, a tenth NJ online sportsbook has entered the scene, this one the hotly anticipated entry from Hard Rock Casino. 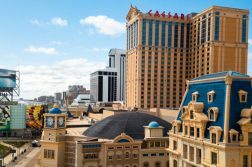 The book, which is integrated as part of Hard Rock’s burgeoning online casino platform, entered into a soft launch period on Saturday, after receiving the thumbs up from the New Jersey Division of Gaming Enforcement the night prior. Like the casino, which has blossomed quickly since its late June launch and now regularly generates over $1 million in monthly revenue, the book is powered by relative newcomer (at least to the New Jersey space), Gaming Innovation Group (GiG). Hard Rock first made its intentions clear that it would partner with GiG for sports betting back when it signed a Letter of Intent in October. This was reinforced by a company press release from GiG in November. 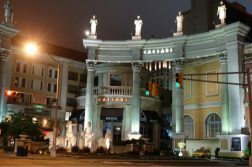 Hard Rock does not yet support a retail sportsbook at its new home in Atlantic City, but intends to launch one in conjunction with GiG in very short order. While it’s too early to provide a full evaluation of how Hard Rock’s sportsbook stacks up in the very competitive NJ sports betting market, the way it’s positioning itself has us feeling rather confident in its long-term prospects. As mentioned, the Hard Rock online sportsbook is integrated into its existing casino app, meaning that players won’t have to fund their sports betting wallet separately or download multiple apps. One might think that all sports operators with online casino products would take this approach, as it promotes both convenience and cross-vertical play, but it hasn’t always been the case. Instead, some sprinted to market, sacrificing aspects of their launch product in the process. Hard Rock views the race as more of a marathon. Players also earn loyalty points for sports wagers, at the same rate they do for slots. 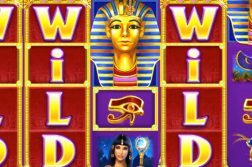 These points apply to both a player’s online level and their Wild Card Rewards status at Hard Rock Casino in Atlantic City, with players able to redeem comps earned online at the brick-and-mortar venue. The integration aspect carries over to mobile, where the sportsbook has already been tied to the casino app on Android and iOS, with the iOS update hitting the App Store just on Tuesday morning. It’s not uncommon for iOS versions of NJ online sportsbooks to be delayed a few weeks due to Apple’s review process, so it’s refreshing to see Hard Rock go live with its iOS-based product so quickly. Although the betting options on Hard Rock’s sportsbook are currently a bit sparse, which we assume will change once volume picks up, we can still get a feel of how fair the pricing is. So far, so good, as Hard Rock offers -110 odds on spreads and totals pretty much across the board, with money lines that are priced a tad better than most sites, but trail behind books with the very best pricing, notably FanDuel Sportsbook. The lines on the Super Bowl aren’t anything special, with -110 lines offered on both the spread and the total, and a -135 (Patriots)/+110 (Rams) money line. However, a source at Hard Rock has informed us that the operator plans to roll out a bunch of promos for the Big Game over the coming days, so be on the lookout. Already, Hard Rock is sponsoring a promo whereby players that deposit and wager $100 or more on a single bet will be entitled to a $100 refund, in cash no less, if their wager comes up empty. This offers applies to all players, including those who have already taken advantage of the site’s 100% match up to $1,000 deposit bonus. It’s offers like these that should drive a ton of traffic, both new and returning, to the book as the Big Game approaches. Perhaps the best word to describe the Hard Rock sports betting interface is quaint. It looks pleasant enough and is exceedingly easy to navigate, but we expected something of a more modern look and feel from GiG. In terms of bet formats, players will find the basics, including straights, totals, derivatives, futures, parlays, and round robins. There is a measure of Super Bowl prop betting, but not nearly as much as is featured on some other books, at least not yet. We also couldn’t find any player props for NBA games, which was somewhat disappointing. The betting markets are currently limited to just NFL, basketball (NBA and NCAA), NHL, and MLB. But again, all of the aforementioned observations should be taken with a hefty grain of salt, as we do expect Hard Rock to add more markets and formats in the coming weeks and months. Hard Rock does currently offer live betting, and so far, we haven’t experienced any trouble getting in-play bets down, nor has the software proven unstable at any point. So far, no one online sportsbook has been able to put much of a dent in the FanDuel / DraftKings duopoly in New Jersey, with Play SugarHouse probably coming closest. But with the recent launch of innovative and well received PointsBet Sportsbook and now Hard Rock, we may see a shakeup in due time. Hard Rock in particular has a lot going for it, as its land-based casino brand is highly recognizable and is already a top revenue producer in Atlantic City. Its upstart online casino is no slouch either, having generated $1.32 million in December, just its sixth full month of operation. The operator appears committed to doing sports betting the right way, which is probably why it held off on launching its product until now. On one hand that meant missing nearly the entirety of the NFL season. On the other, it meant checking off nearly all the boxes that are important to users, including a shared wallet, an integrated loyalty program, an Android / iOS app at launch, and a flexible cashier. It’ll have some catching up to do, that’s for certain, but provided Hard Rock and GiG keep investing in its product, we could see it grab significant market share by the 2019 NFL Kickoff.